If you enjoy cooking, then you may want to consider a career as a chef. A great chef knows how to amaze people by composing new flavors and unique dishes. While learning how to become a chef can prove challenging, it can serve as a very enjoyable experience as well. If you want to have a career as a world-renowned chef or simply have a particular passion for cooking, you can enter the culinary world. Research pathways toward becoming a chef. You can get training in school vocational programs, community colleges or culinary arts schools. Chefs and cooks also may also train in apprenticeship programs offered by professional culinary institutes and industry associations. Get as much experience as possible. Secure an internship to gain hands-on experience in a real-life working environment. Working as a chef can feel like a high-stress and high-pressure job. You must practice in a hands-on manner to get the full effect of the the study you have learned from schools. Learn from your mentors and other head chefs. They can guide you toward becoming a great chef. A great chef is multi-dimensional. You must know how to create new recipes and have a wide knowledge about how to prepare delicious meals. Familiarize yourself with different food dishes, including soups, appetizers, main dishes, side orders and desserts so you can properly prepare them. Decide on a particular cooking style. A great sense of creativity can help you find new ways to prepare dishes. Focus on what type of cooking you would like to do and make that your specialty. A successful chef has a personal style that makes his dishes distinctive. Develop leadership skills. A great chef knows how to control his kitchen. Learn how to organize the kitchen and direct the staff. 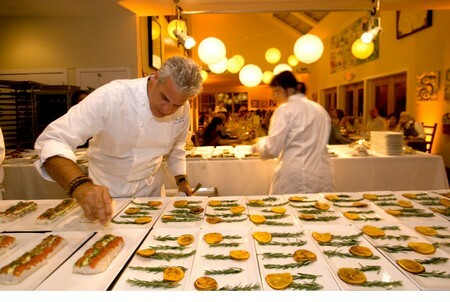 A successful chef knows how to create a team with great food preparation and great service. She makes sure everything in the kitchen runs smoothly and everyone knows how to do his job. You must not only know how to prepare great meals, but you also have to be an “all-rounder” in the kitchen. Learn the kitchen. A great chef knows how to function in a fully equipped kitchen. You will find it important as a chef to know how to use the right equipment when preparing meals. You have to spend some time in the kitchen learning a cookware’s usage and what ingredients or meals commonly use those implements in their preparation. You will have to learn what knife to use for chopping and know the different knife techniques. Stay on top of emerging trends. Chefs always keep an eye out for new and creative approaches when preparing dishes. Show some initiative by researching the latest trends in the kitchen and start working your way up from the bottom of the ever-changing food trends.